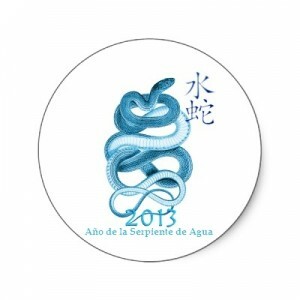 Next Sunday 10 February, for China and other Eastern countries, begins the new year, and this 2013 arrives Black Water Snake. According to the horoscope, this year of the snake is ideal for saving expected, to refine strategies and invest the least amount of resources. It is a year of learning and essential lessons. The snake, unlike the majestic dragon, moves through the lower worlds, small and no great flights. He comes to make clear that not all jewelry, robes and utopias. Wisdom and strength are the keys to a 2013, which means going slowly and stealthy.